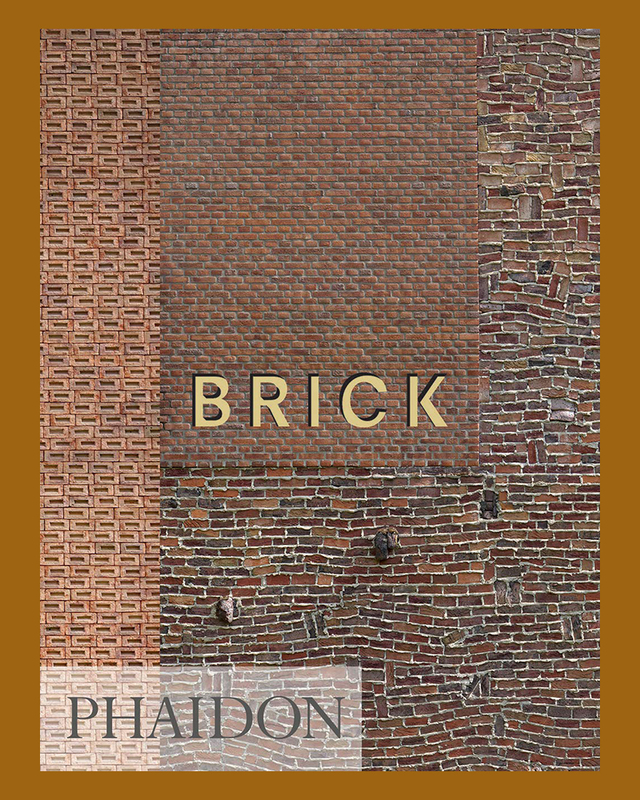 The humble brick has been an architectural staple for centuries – but is rarely celebrated. 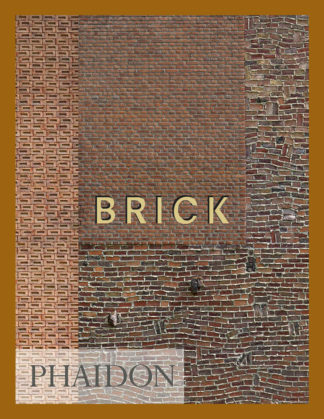 Brick is a fresh, insightful and surprising look at one of the world’s most familiar and popular building materials. 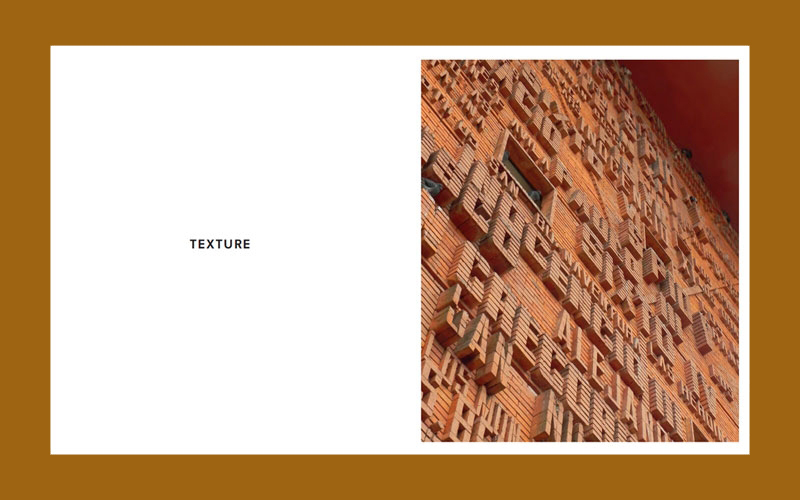 From the strange remains of the Ziggurat of Ur dating from 2100 BC, to the stunning Winery Gantenbein – built by robotic arm in 2006 – Brick shows the extraordinary and inspiring potential of fired earth. 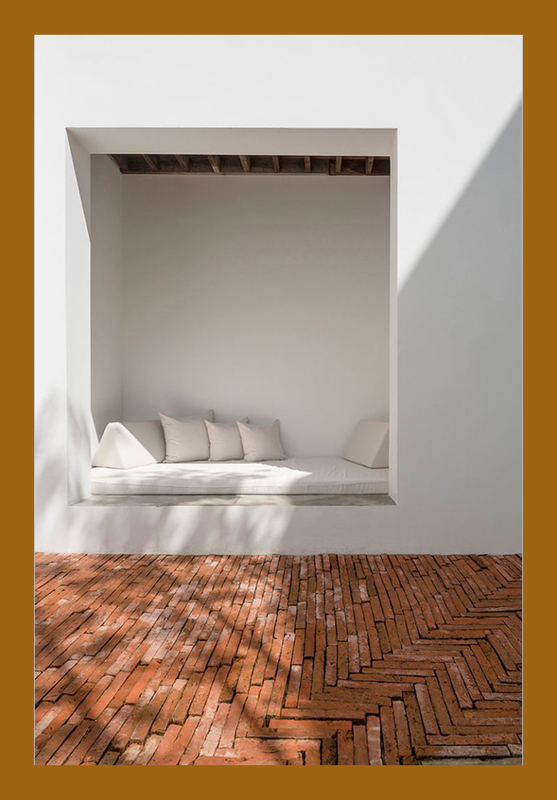 The world’s best architects have explored the qualities of brickwork. 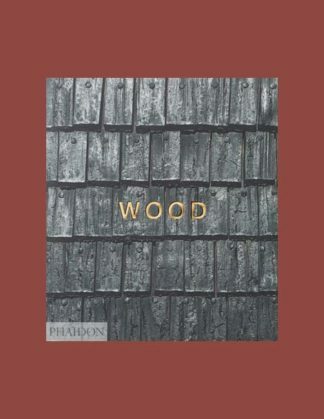 Alvar Aalto, Antoni Gaudí, Frank Gehry, Mies van der Rohe, and Jørn Utzon all built with the material, and bricks were integral to Frank Lloyd Wright’s vision for an American vernacular in his Prairie Houses. 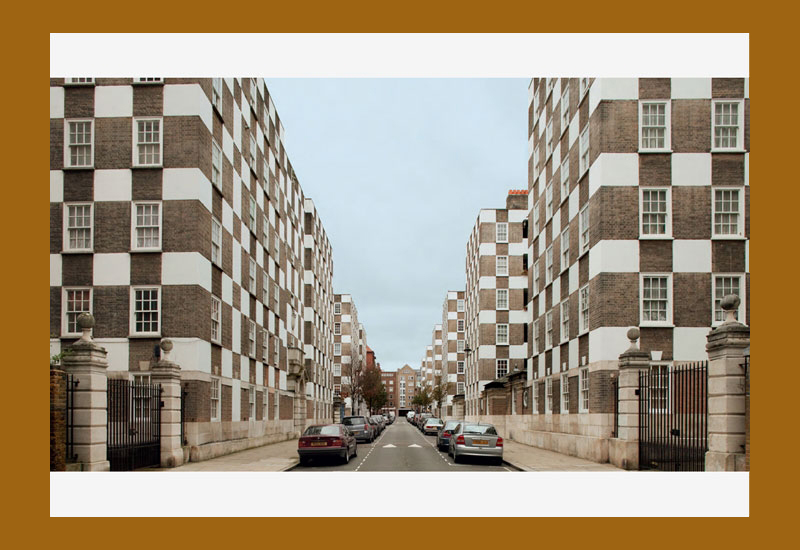 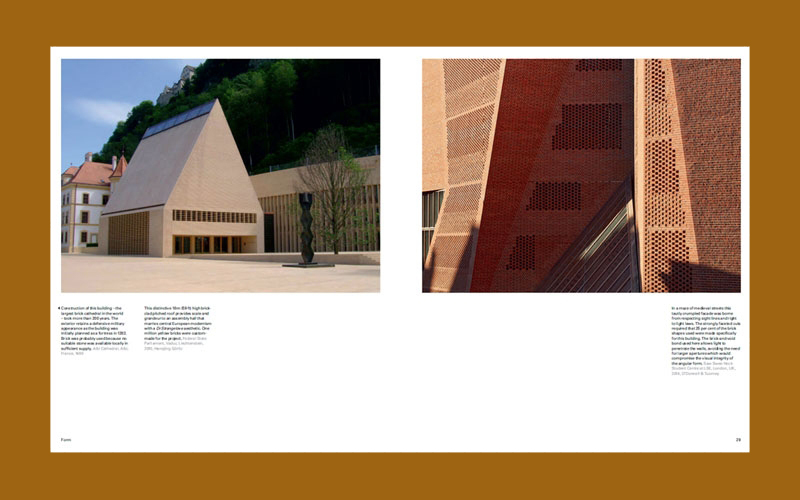 Equally striking and memorable structures by lesser-known newcomers are also shown. 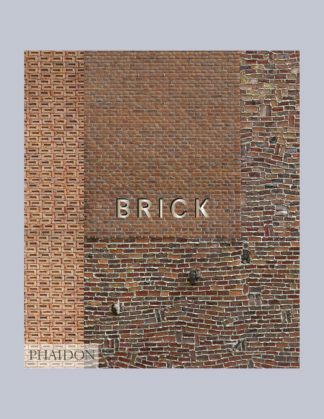 In this reimagined and easy-to-use size, Brick takes a fresh look at one of the world’s most familiar and popular building materials. 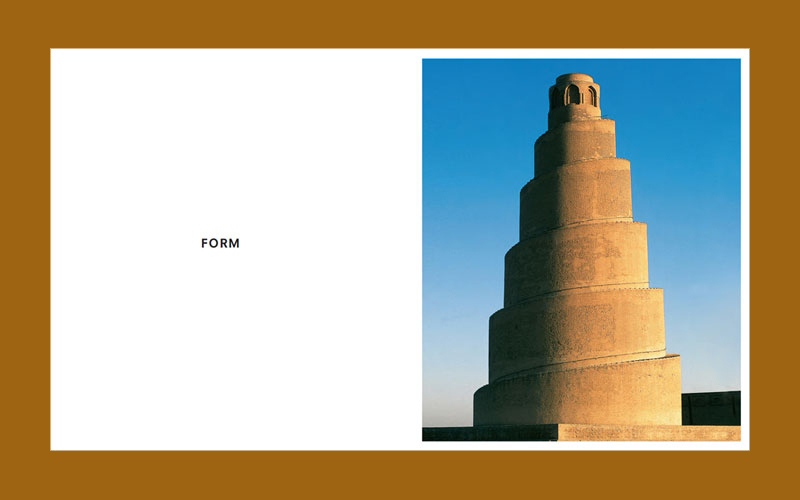 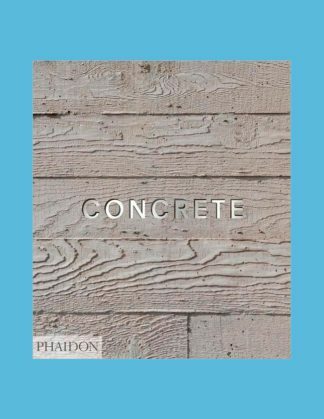 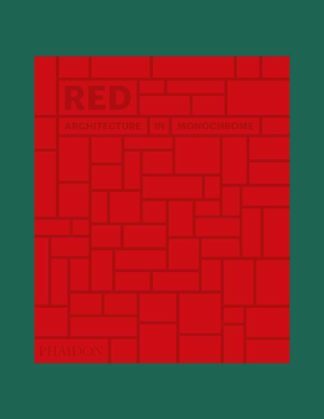 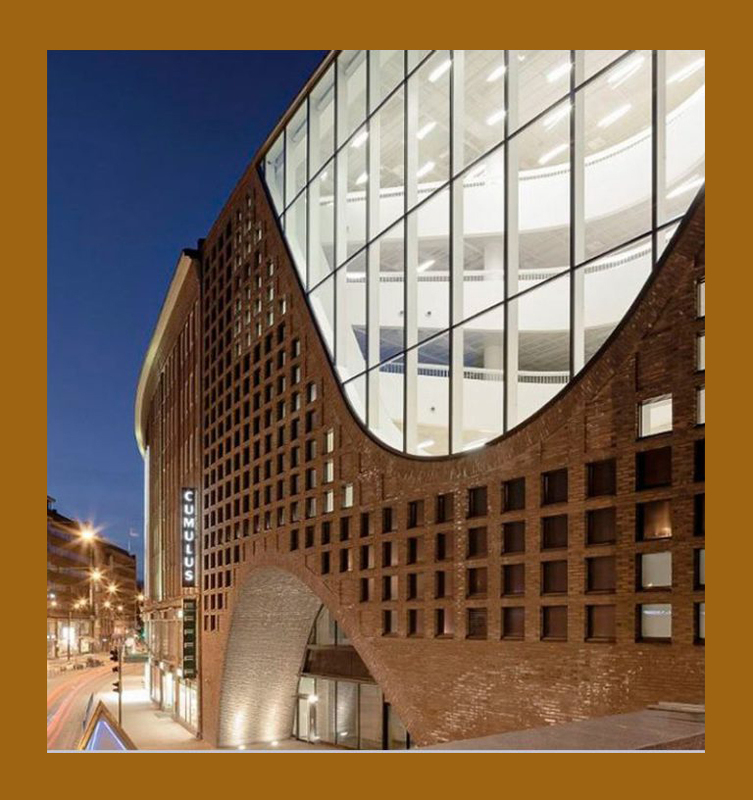 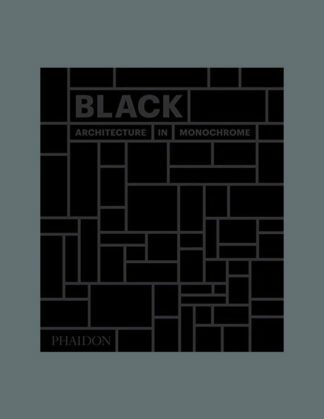 Presenting 180 diverse and fascinating examples, from the Ziggurat of Ur dating from 2100 bc to modern and contemporary masterpieces by Mies van der Rohe and Kazuyo Sejima, Brick beautifully illustrates how this humble material has been an architectural staple for centuries.